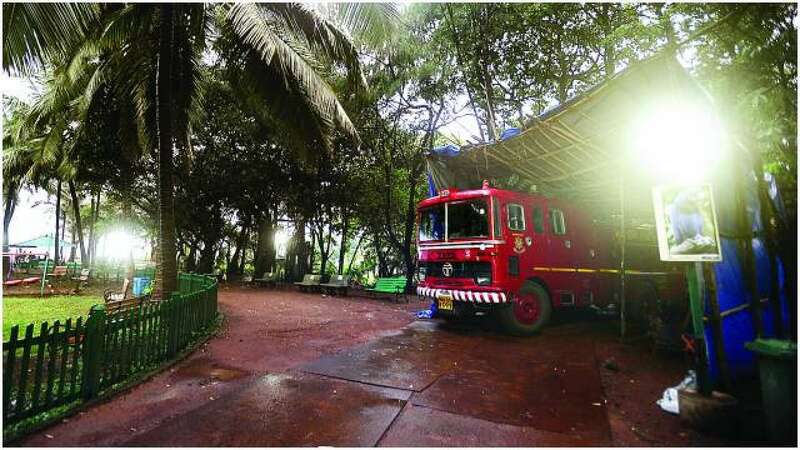 The Bombay High Court will on Friday hear an application filed by Brihanmumbai Municipal Corporation that seeks to once again deploy a fire truck at Priyadarshini Park in South Mumbai. Last year, the BMC had on its own withdrawn the fire engine, after the court passed several strictures. The HC had come down heavily on the civic body, as it had continued to station the fire truck, even after a previous order had directed it to maintain status quo. Following this, the BMC moved the Supreme Court, seeking directions for re-deploying the engine and with a direction to the HC to hear its application expeditiously. Senior Advocate Joquim Reis, appearing for corporation said that the apex court on Monday has asked the high court to hear and decide the BMC’s plea in the next 10 days. The Malabar Hill Citizens Forum, which is the care-taker of the park, has been involved in a legal fight with the civic body, over the issue of taking the park under its purview. In 2006, the forum, filed a public interest litigation challenging the decision of the corporation for posting a fire engine. It was on June 5, 2017, that the petition came to be dismissed for default (non-availability of petitioners advocate). On June 14, 2017, the BMC posted the fire engine inside the park. Residents moved plea for restoration of the PIL and by order of June 19, 2017, direction for maintaining status quo was given. The BMC while stressing on the need for a fire engine has said it is the responsibility of the corporation to protect and preserve the life of citizens of Mumbai, and therefore there is a necessity to meet the requirement of fire safety of citizens living in and around Malabar Hill, which can be fulfilled by establishing a fire brigade at the plot allotted and reserved for the same.